This classic tool is perfect for a daytrip! Kids and adults alike can take it into the field to examine bugs, leaves, thumbprints and more with the magnifying glass. 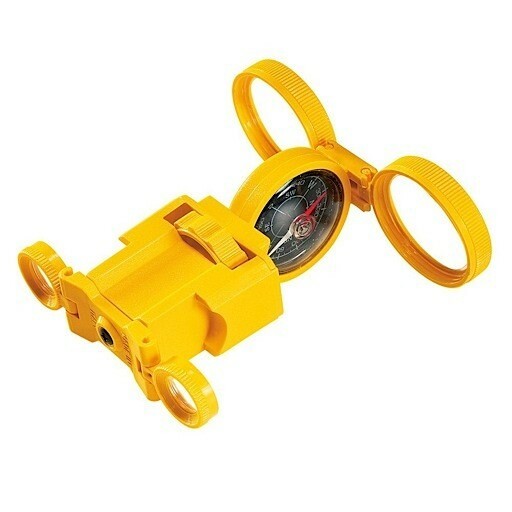 Learn navigation with the compass. Get a closer look at birds and animals with the binoculars and and use the mirror for flashing signals. Compact and lightweight so you can take it anywhere! Colors are assorted and will be chosen at random. Recommended for ages 6 & up.